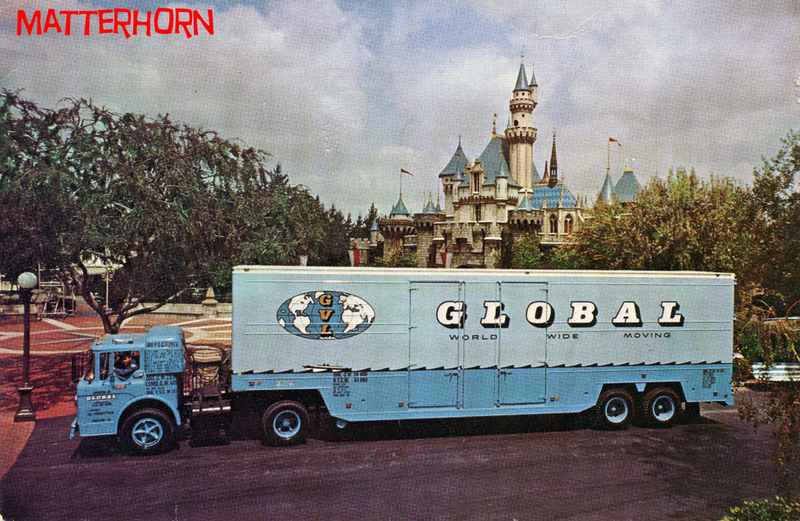 One of the more unusual and hard to find postcards is this one featuring a large moving van from Global parked in front of Sleeping Beauty Castle in Disneyland. But in reality, this never happened as this is a photograph of the semi moving van superimposed on a picture of the Hub. This entry was posted in Disneyland and tagged Collecting, Disneyland, Postcard, stuff from the park blog. Bookmark the permalink.